Property 9: Brand New Cabin, Slide out Bed, includes canoe and fishing poles. Property 11: Adirondack dream home! Lakefront Adirondack House; private road with amazing views! 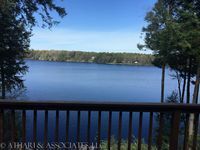 Property 18: Lakefront Adirondack House; private road with amazing views! Private, rural retreat--ideal for the nature lover or to simply relax! Property 20: Private, rural retreat--ideal for the nature lover or to simply relax! This house was amazing, the views were amazing. Everything was just great. My family always takes a little vacation every April. We usually stay in a hotel somewhere. I am so happy we stepped it up a notch and got this house. We had the best family vacation here. Great memories were made. Thank you!!! This house was GORGEOUS inside and out! Lauren was so incrediblely nice leaving us instructions as well as a personalized welcome card which included her cell phone number. Kitchen was fully stocked (bottles of water, coffe, condiments, misc items in the cabinet, and all the dishes and items you could need). I forgot paper products (toilet paper and paper towels) and it wasn&rsquo;t needed since Lauren left plenty of that behind as well. Would stay again!